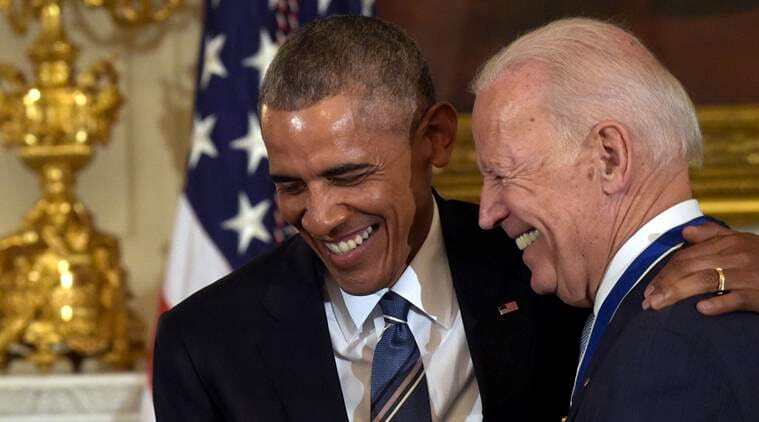 Over the last few months there’s been an awful lot said about the bromance between the former President Barack Obama and his vice president, Joe Biden. But while their friendship has inspired countless memes, another blossoming political relationship has somewhat slipped under the radar. 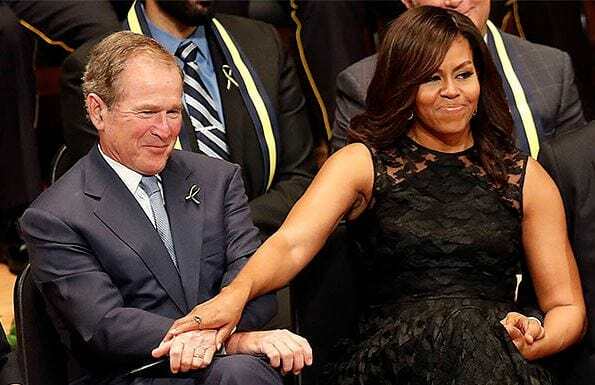 Barack might have to watch out, as another former president seems to want to get up close and personal with his wife Michelle. 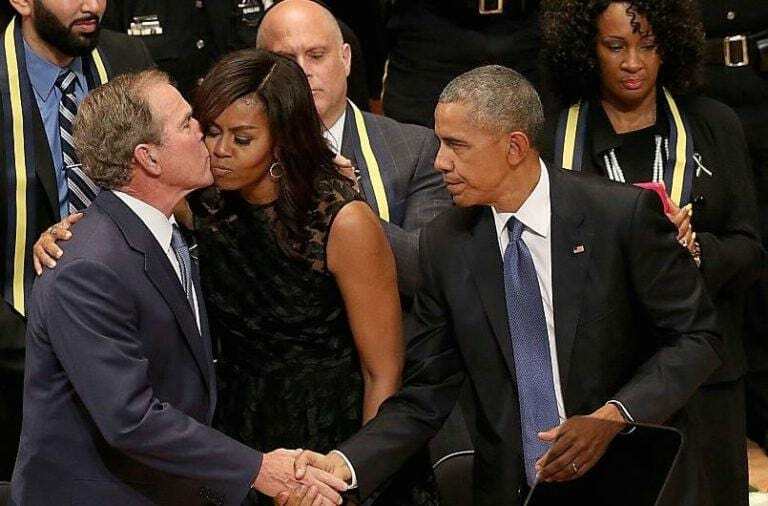 Imgur user charliesheen420 found a few hilarious snaps of George W. Bush and Michelle Obama getting intimate and suggested that they ‘love’ each other. 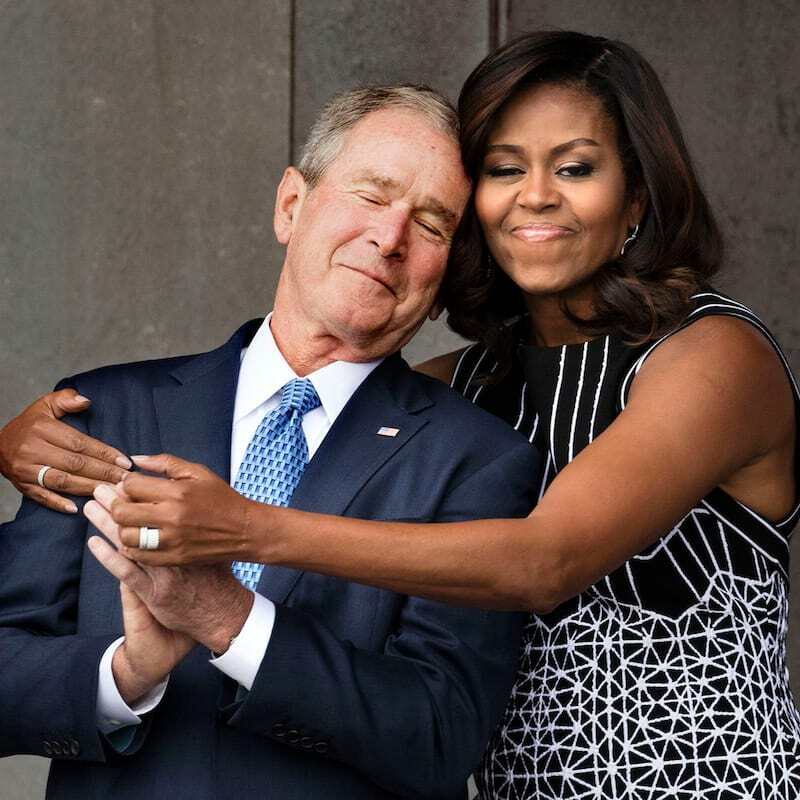 An image of Michelle and George hugging at the opening of the Smithsonian National Museum of African-American History and Culture went viral back in the summer. 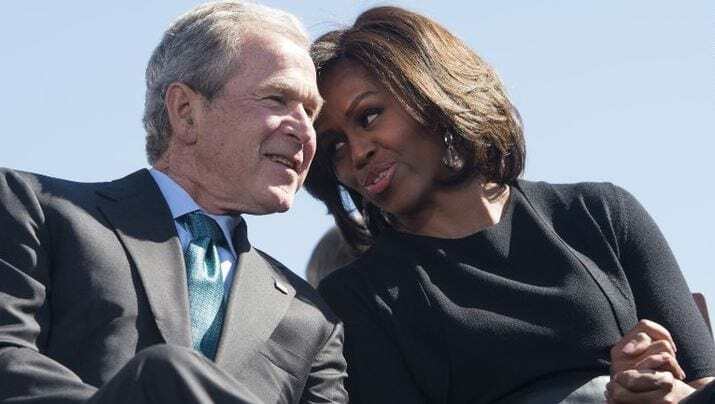 However, this shouldn’t come as much of a surprise, as the Bush and Obama families have appeared at many public events together over the past eight years. Earnest said people should take the hug as a symbol of the admiration for the burdens shared by all first families, ‘not an indication that political difference of opinion have been resolved’. With the election of Donald Trump leaving the United States more divided than ever, Earnest had a lovely sentiment to end on. “I think it’s a reminder that people who have different views but who love their country can find ways to cooperate in ways that are good for the country,” he said.